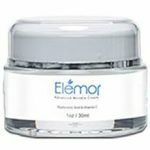 Elemor Wrinkle Cream Reviews: Does It Work? Elemor Wrinkle Cream is a wrinkle cream new to the market that gives the user a lot of advantages. According to the manufacturer, the product is meant for use by people who want to get rid of any aging signs in their skin. It is specifically meant for women. According to them and one does not have to go for expensive parlors to improve the skin when they are getting old while there is another option. The anti wrinkle cream might claim to help users in getting rid of wrinkles, dark spots, discoloration, fine lines on the skin and more to give them a young look and confidence. Who is the Manufacturer of Elemor Wrinkle Cream? The company that manufactures the product is called Elemor Wrinkle Cream. It is based in the United States of America. The company claims to use natural ingredients in manufacturing their products and so the products are less likely to cause irritations on the skin. How Does Elemor Wrinkle Cream Work? The product works by hydrating the skin and ensuring that it is moisturized to eliminate any wrinkles in the users. It also works by eliminating dark spots that may make the skin look unpleasant. The ingredients used in the manufacture of the product vibrant and healthy for skin boosting. The ingredients promote the production of collagen in the body. Collagen works for the skin by ensuring that it is moisturized and hydrated throughout and thus preventing it from growing old. It might leave the skin naturally beautiful thus reduces the need for wearing makeup for more beauty. Elemor Wrinkle Cream Ingredients – Are they Safe & Effective? The manufacturing company of the product has not provided the ingredient list of the product for the public to see. Vitamin C – This is the main ingredient in the product that gives the skin the nutrients required for growth. Hyaluronic Acid – This is another major ingredient of the product that helps the skin to retain moisture and it also helps in increasing the smoothness of the skin. Sweet Almond Oil – Works by keeping the cells of the skin healthy. Also protects the skin from UV damage from radiation. Potassium Sorbate – It is used in the product as a preservative to prevent the other ingredients from expiring. Mineral Oil – This ingredient works by helping the skin retain its moisture. It also has an ability to protect the skin from external contamination. Vitamin E – It is a powerful antioxidant of the skin. It also helps in preventing the signs of aging from the skin. What are the Advantages of Elemor Wrinkle Cream? It reduces signs of aging and wrinkles in the skin. It may protect the skin from effects of harmful sun rays. It may promote the production of collagen in the skin that enhances softness and firmness of the skin. What are the Disadvantages of Elemor Wrinkle Cream? The results of using the products may vary from one individual to another. The product may not be suitable for use if one is using other anti-aging skin products. The ingredient list of the product has not been given in the official website. The price of the product is not mentioned on the official website. How Should You Use Elemor Wrinkle Cream? One should wash the face first, dry the skin then pat the skin while dry. Smooth the cream on the face, chest and neck. It should be applied in the morning and at night to give out the best results. How Much Does Elemor Wrinkle Cream Cost? The price of the product is not mentioned in the product’s official website. One should contact the manufacturing company for the details. However, one of the retailers of the products sells it at $ 39.99 for a container of 30ml. What is Elemor Wrinkle Cream’s Return Policy? The official website of the product has not provided any information on the return policy of the product. This information may be checked in the websites of the retailers of the product. Does Elemor Wrinkle Cream Offer a Free Trial? The official website has not provided any information concerning the free trial of the product. One can contact the manufacturer for more details. This product seems to have many benefits for the skin. It may remove wrinkles from the skin and reduce any signs of aging. It may boost the production of collagen to keep the skin young. It is made of ingredients that are well known to boost the health of the skin. From the reviews of the customers, it seems the product is suitable for all types of skins, therefore, may not discriminate against some skin types. The product, however, may not work alone, one has to ensure they take a lot of water, eat a properly balanced diet, get enough sleep, change makeup brushes regularly among other ways to help improve the health of the skin. The skin is a very delicate part of the body and any cream cannot just be applied. People with questions about the ingredients of the product should call the manufacturing company or seek clarification from a qualified physician. You can also check other best anti aging products with similar benefits in the market for better results it the product does not work well with our skin. I have so many reasons to thank Elemor for. I didn’t think for a moment that I will ever be this thankful towards any anti-aging cream before. In fact, I doubted what Elemor can deliver for my skin. I have aging and sensitive skin at the same time which makes my skin very fragile and prone to wrinkling, irritation, and other forms of skin damage that contribute to aging. I’ve experienced product irritation from most of the anti-aging creams I have tried to date but, not in the case of Elemor. I felt how Elemor started transforming my skin from the very first time that I put it on. I instantly felt my skin feel instantly better hydrated. Over the weeks that followed, I saw even greater improvements in the aged and damaged appearance of my skin. Age spots and wrinkles gradually faded. I’ve been using Elemor for almost 6 months now. I’ve kept it in my regimen because I liked the way it made my skin feel well moisturized without making it greasy. I know it must have already made me feel short-changed given the extent of promises made about this product and the considerably more expensive price tag versus a well-performing moisturizer. Well, I’m glad I kept using it. Two strangers came up to me. One approached me yesterday while the other approached me just this morning. Both expressed admiration for my healthy, glowing skin. I got asked how old I was. When I said I am turning 50, I got complemented once again when told that I looked 40. Perhaps Elemor has caused me other skin improvements other than provide added moisture that I haven’t quite acknowledged before. Whatever that is, I am just glad that I found Elemor and I’m keeping it! Elemor made me breakout so badly. My face was covered with a thick layer of rashes and my skin was severely swollen and reddish. I had to call in sick at work and rest for 3 days to allow the inflammation to subside. It got me severely worried about my skin. I immediately reported this to my dermatologist and she saw me in the afternoon. It took months and $7000 to get the damage healed and corrected. I should have known better. Because of this unfortunate experience, I will be looking more into tapping non-invasive skincare procedures to do the anti-aging work for my skin. I am staying clear of anti-aging products from now on. Before you buy Elemor or other anti-aging cream, make sure you have all of the possible information you can learn about the product, including contact details of the manufacturer. If I ever use an anti-aging cream again, I will make sure that it is a product from a well-known and reputable manufacturer. I never believed that using Elemor could help me resolve my premature aging skin issues. I was right all along. I refused to use Elemor but, since my mom insisted that I try it first before buying into an expensive non-invasive procedure. So, I did. Elemor did not help and what’s worse is that it aggravated the dryness of my skin which is one of the top causes of wrinkles. I stopped using it halfway through the jar. I told my mom how I appreciate her concern but, it’s not workin. I immediately scheduled an appointment with my doctor who said she couldn’t immediately perform the procedure because my skin has just been recently damaged. We had to allow my skin a month to heal. Under the supervision of a professional, my skin has healed. After 5 months of in-clinic procedures supported by dermatologist-formulated and tested products, my skin has become significantly relieved from signs of premature aging. That is an effect that Elemor can never deliver. I’m 45 and I have never in my life been beset by skin aging issues until now. I am proud that I am blessed with mulato skin which, unlike caucasians, does not easily develop wrinkling. Nevertheless, my time to deal with wrinkles and other signs of skin aging has finally come. I’ve been reading up on how best to take care of aging skin and I found this Elemor cream. Based on the product description provided, this cream delivers 2 major benefits to help aging skin to become restored. First, it corrects the appearance of wrinkles and other signs of skin aging. Second, it improves the skin’s protection from further damage so that the rate of healing can overtake the rate of damage. I wanted Elemor to work so badly and I am glad it did.The first 2 months, I couldn’t see how it benefitted my skin which nearly got me to discontinue use. However, my friend advised me to wait a while longer since topical products usually take time to build up potency. I’m glad I believed her. By now, I’ve been using Elemor for 6 months and I think my skin looks better and I feel that it has also made my skin more resilient to irritation, dryness and wrinkling. So far, I am happy with the results that I am seeing and I hope it continues to work well with my skin. There have been mixed reviews about Elemor and many are on the extremely positive and extremely negative side of the spectrum. Based on my personal observation of how Elemor has worked for my skin, I’d admit that I’ve enjoyed better hydration. I noticed how my skin stayed dewy and supple throughout the night and throughout the day. I also noticed that it delivered a brightening effect on my skin. I think that the enhanced brilliance of my face is the real reason why my age spots look faded. By reflecting light, somehow Elemor also made my fine lines and wrinkles appear softer. The brightness also drew an onlooker’s attention away from my skin imperfections. However, I don’t believe that Elemor can actually lessen the depth of wrinkles and make them vanish. It will be certainly foolish to believe it can. The most benefit that it can bring is to flood your skin with moisture to cause it to become fuller temporarily, causing creases to budge. In effect wrinkles seem to lose depth. For me Elemor serves its purpose just don’t expect a miracle. I am in the highly demanding business of bringing disaster relief to people who need help in conditions of catastrophe. I have been serving as an international civil servant for 3 decades now. Wrinkles started to show when I was just about 5 years into the industry. It didn’t surprise me somehow because what I did everyday for a living necessitated that I exposed my skin to dire and extremely unfavorable conditions that included severe heat, sun and pollution. It didn’t bother me before because I was always up and about but, more importantly because people’s lives mattered more than the wrinkles that I’ve been growing. I haven’t tried using anti-aging products. I have just recently been able to attend more closely to my skin needs since I’m older now, I’ve applied for a desk job. I’ve tried a few wrinkle creams since but none worked as well as well as Elemor did. I immediately noticed how it made my skin healthier looking which gave my complexion a livelier vibe. Towards the third month of application, it started to fade my age spots. I am now on my 4th month of using Elemor and I can’t believe that it has also started to blot out some of the lighter lines around my eyes and mouth. I’ll keep using Elemor. I’m so excited to see how much more it can improve my aging and sun-damaged skin. When I first applied Elemor, my skin developed bumps and it became severely itchy. I had to get up from bed in the middle of the night because the irritation was unbearable. I washed off the product from my face and I remember even scrubbing it off to make sure there weren’t any residue left. The following morning, it made me mad to find out that my skin still developed redness and swelling. I took the Internet and messaged the seller about it but, I didn’t get any response. I also couldn’t find a number that I could call. That was when I thought that I wasn’t being productive so I called up my dermatologist instead and had my skin checked. She told me that the inflammation was definitely caused by contact dermatitis triggered by the cream. Suffice to say that it took me 3 months of treatment and $3000 to get my skin back to what it was before. I’m not sure what to make of Elemor. My mom, sister and I have started on Elemor at about the same time 3 months ago. A cousin of mine who was already well over 60 told us about it. We haven’t seen her for more than a decade because she lived in many different cities here in the US and in Europe as a retirement gift for herself. We were all astonished to see how well she has been able to manage her skin. Although I am happy for her, it pains me to see that she even looks younger and more vibrant than I do, and I’m only 45. Then came her big reveal. She said it was because of Elemor. You can imagine how quickly my mom, my sister and I scrambled to get hold of this allegedly wonder cream immediately. Thanks to technology, we each received a jar the following morning. Since then, we’ve formed very different opinions regarding this product. Elemor worked best for my mom. It made her face brighter and it glowed with health and did not just maker her complexion whiter. My sister is already under the impression that Elemor is a hoax. She kept telling us that the cream seems to have made her face drier and flakier. There was no plumping or wrinkle-smoothening effect whatsoever. For my part, I’ve seen modest results which is that it kept my skin well-moisturized. I’ve also come to the conclusion that Elemor works differently for everybody. Elemor was introduced to me by my sister who is older than I am by 8 years. With almost a decade of gap between us, I have learned to trust her instincts over matters that I wasn’t quite sure what I was gonna do about. It’s funny that it never occurred to me how badly I would be needing her advise when I start to see wrinkles pop out of my skin. Well, I still consider myself lucky that I didn’t need a wrinkle regimen before I turned 40. My sister told me to use Elemor. Although I’ve had big doubts about anti-aging products in general, I tried it anyway. I didn’t realize before that when you finally get around and start seeing wrinkles appear, you will take your chances over almost any available solution. So, I took Elemor for 4 months just to give it time to work but, unfortunately, it didn’t. Now I’m not so sure about trusting my older sister’s instincts. Maybe I should start trusting mine.